Create is a very interesting new game that sees players thrust into the world of wacky races as you create various arena for racing your friends. The game has excellent graphics and game play and has the knack of making you lose large amounts of hours as you are glued to the screen. 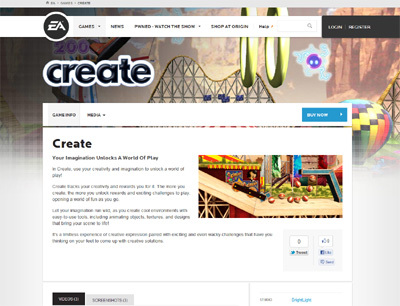 We have also compiled a Review System for this, of which Create is Rated as Three Stars, which is a fair score from the Game Review Team.